Governor's Rule, A Dangerous Proposition! Imposition of Governor' Rule is the last thing any political party should think about in Jammu and Kashmir - it is a dangerous proposition and a great travesty of parliamentary democracy. Our sensitive border state had to suffer Governor's Rule for about nine years during last over three decades. The recent decision of Governor NN Vohra to appoint advisors signals a long central rule for the state. One only hopes that it ends sooner than later. Unlike other states of the country where President's Rule is imposed under Article 356 of The Constitution and executive authority is exercised by the Governor, in Jammu and Kashmir, Governor's Rule is imposed under Section 92 of the J&K state constitution. The Governor assumes all the powers exercisable by any authority except those of the J&K High Court. During President's Rule in any other state, the power of legislation rests with the Parliament of India; but in Jammu and Kashmir, the power of legislation rests with one person - the Governor. He is not even obliged to function under the advice of the union government. Imagine one man, besides being chief executive of the state, assuming the powers of the entire legislature, having the authority to pass bills, amend and repeal laws. Only God can save the democracy and public trust if an over-ambitious person is holding the chair of J&K Governor in such times. Fortunately, the present Governor, Narinder Nath Vohra is one of the most respected and non-controversial Governors that J&K state has got after LK Jha in the 70s who is still remembered as a truly remarkable impartial head of the state. In fact, the Governor of my state derives his authority from the erstwhile elected Sadar-e-Riyasat (Head of the State) as per the basic structure of the state constitution. Under the Sixth Amendment Act 1965, the state constitution was amended, replacing Sadar-e-Riyasat with the Governor, but his powers and authority remained unchanged. The J&K Governor can intervene in any matter and demand he he sent any file even when an elected government is in office. Mercifully, Governors choose to go by convention and stay away from meddling in day-to-day government affairs. According to a recent judgement, the J&K High Court observed that "the sixth amendment did not merely change the nomenclature but the eligibility, mode and method of appointment of Head of the State. The 'elective status' of Head of the State was an important attribute of Constitutional autonomy enjoyed by the State, a part of 'Basic Framework' of the State Constitution, and therefore not within the amending power of the State legislature." The court further observed that "The Legislature is equally under a constitutional obligation to uphold the Constitution and rectify an error, wherever necessary". Legal niceties and complications apart, a state where democracy has been the victim of internal and external manipulations over the last 60 years needs diligent handling by all state holders. The onus is on political parties and the union government to deliver governance fairly with the people's best interests at heart. The state legislature is not just representing the present geographical boundaries of state, but it has kept seats vacant for Pakistan Occupied Kashmir (POK). The State's constitutional position, and New Delhi's repeated assertion that POK is also an integral part of the Indian Union makes sense only so long as the constitution of the state is respected in letter and spirit. 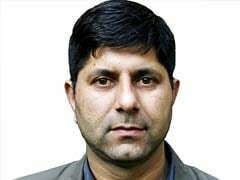 The state constitution that makes J&K as integral part of India, and ratifies the instrument of accession cannot be accepted and respected and despised in the same breath. Weakening or diluting the constitutional position doesn't help anybody; rather, it creates more challenges. The experience of the last six decades has been like running on a treadmill where we end up at the same place where we had started. The recent move by Pakistan to make Gilgit Baltistan (part of erstwhile J&K) it's 5th state is an eye opener. While Kashmiri separatist groups openly challenged it and wrote dissenting letters to Pakistan PM Nawaz Sharief, no mainstream party could speak about it because they have lost that moral high ground to speak for the undivided state of Jammu and Kashmir that existed before the tribal invasion of October 1947 and the subsequent landing of the Indian Army in Kashmir. While Governor's Rule is a reality and engulfs J&K more often than not, there are two ways to keep democracy alive in the restive state: strip the Governor of the powers of an elected Sadar-e-Riyasat, or go for a caretaker government arrangement during interregnum.